Bernardo Silva is a professional footballer who plays as a midfielder for Portugal national football team and English club Manchester City. His shirt number is 20 at Manchester City and wears shirt number 11 for the Portugal national team. He started his youth career from Benfica in 2002 and began his professional career from the same club in 2013. He has also played for AS Monaco before joining Manchester City in 2017. He has won one Primeira Liga, one Taca de Portugal, and Taca da Liga titles during his tenure at Benfica, one Ligue 1 title with Monaco, and one Premier League, one EFL Cup, and FA Community Shield with Manchester City. Individually, he is the recipient of 2013-14 Segunda Liga Breakthrough Player of the Year and won several Player of the month awards with Benfica and Monaco. Initially, he has represented Portugal at different age levels before making senior debut in 2015. He was also the member of the Portugal 21 team that finished second in the 2015 UEFA European U21 Championship and third place in 2017 FIFA Confederations Cup. He playing style is compared to his fellow Manchester City teammate David Silva. At his youth career at Benfica, he was named 2013-14 Segunda Liga Breakthrough Player of the Year. 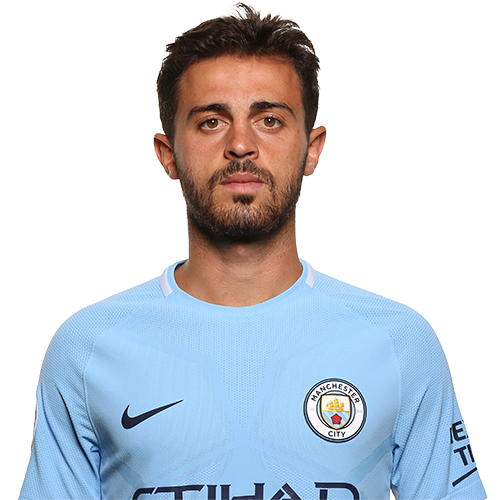 The full name of Bernardo Silva is Bernardo Mota Veiga de Carvalho e Silva. He was born on 10 August 1994. He was born to Mota Veiga Silva and Maria Joao Mota Veiga. His birthplace is Lisbon in Portugal. He holds Portuguese nationality. He follows Christianity and belongs to White ethnicity. His star sign is Leo. He is the cousin of Portuguese right-back Matilde Fidalgo. In 2002, at the age of eight, Silva joined the youth system of Benfica. Silva helped his team win 2012-13 Portuguese Juniors Championship. He was promoted to the senior team in 2013. He made his debut for Benfica B in August 2013 in a Segunda Liga against Trofense. At Benfica, Silva helped Benfica to win treble i.e. 2013-14 Primeira Liga, 2013-14 Taca de Portugal, and 2013-14 Taca da Liga. He was also named Segunda Liga Breakthrough Player of the Year in 2013-14 and SJPF Segunda Liga Player of the Month in October and December 2013 and January 2014. Ligue 1 club signed Silva on a one-year loan deal in August 2014. He made his Monaco debut in the same month against Girondins de Bordeaux. Monaco made the loan move permanent in January 2015 for 15.75 million Euro. He helped Monaco to win the 2016-17 Ligue 1 title. He was named in the 2016-17 UNFP Ligue 1 Team of the Year. English club signed Silva ahead of the 2017-18 season on a five-year deal for an undisclosed fee reported to be around 50 million Euro. Silva became the most of any City players appearing in 53 matches in all competitions. Silva became the key player in the City squad that won Premier League title with record 100 points. He also helped the club to win the 2017-18 EFL Cup and 2018 FA Community Shield. Initially, Silva has represented Portugal at different age levels including Portugal U19 and U21 teams. He made his debut for the senior team in 2015. Silva became one of the impressive players in the 2013 European U19 Championship, where his team reached up to semi-finals. He also helped Portugal U21 team to finish second in the 2015 European U21 Championship. Silva was left out of Portugal squad that won historical 2016 Euro Cup due to injury. Silva was also the member of the senior team that finished third in the 2017 FIFA Confederations Cup. He was also included in Portugal squad for the 2018 FIFA World Cup in Russia. Bernardo Silva is in a relationship with Alicia Verrando. She has completed graduation in International Business and is a businesswoman and a model. Alica was an intern at AS Monaco, where she met Bernardo Silva. Silva supports his parent club Benfica, where he started his football career from. He was sent to English-speaking school in Lisbon. Thus his English is described as perfect by the media. Silva has a weird habit of lying on the ground for an hour with his eyes closed after every training sessions. He believes it helps him to internalize and maximize his thinking ability and focus on the game. Bernardo Silva stands 1.73m tall ie five feet and eight inches. He has a body weight of 64 kg. He has a comparatively average height but has a balanced body. He has brown hair and brown eyes. Bernardo Silva has earned really good fortune after joining Manchester City. He has an estimated annual salary of $10 million. In 2015, Monaco signed him permanently for 15.75 million Euro. Manchester City signed Portuguese international for a reported amount of 50 million Euro. His market value is in the region of $50 million. 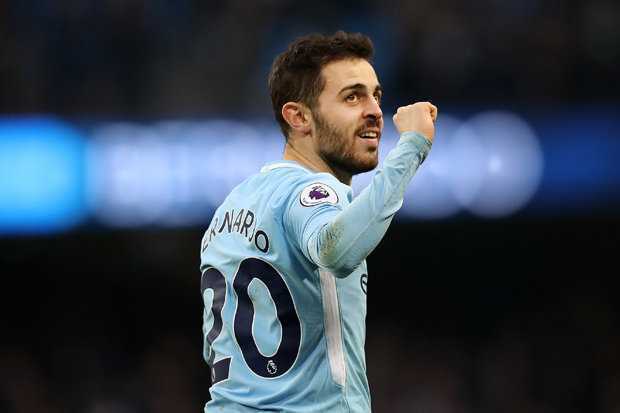 As of 2018, the net worth of Bernardo Silva is estimated at around $10 million.